Rebecca Kemper Goodheart has been a director, actor, and teacher specializing in Shakespeare and Voice for over 20 years. Having worked with over a dozen Shakespeare theaters throughout the United States, she is proud to be a lifetime member of Shakespeare Theater Association where she is chairperson for Shakespeare 2016, the year-long global celebration of Shakespeare’s 400 year legacy. After her tenure as Director of Training for San Francisco Shakespeare Festival from 2010-13, her artistic endeavors have included directing Merry Wives of Windsor for African American Shakespeare Company (as seen in American Theater Magazine May 2013), vocal/text coaching for Notre Dame Shakespeare Festival, joiningPrague Shakespeare Festival for the 2013/14 season as a director, teacher and researcher. Prior to San Francisco, she served as Producing Artistic Director for Maryland Shakespeare Festival (an equity theater she founded in 1999), Artistic Director of the Metawhateverphor Theater in NYC, and Director of Education for Baltimore Shakespeare Festival, as well as being a company member and text teacher for Shakespeare & Co. in Massachusetts. She holds a BFA from NYU’s Tisch School of Arts, a Master of Letters in Shakespeare & Renaissance Literature, and an MFA in Directing (both from the American Shakespeare Center/Mary Baldwin College). She will receive her designation as a Linklater Voice Teacher in 2014. She has presented her research into Shakespeare’s dramatic use of rhetoric at numerous national conferences, and theatrical workshops across the country, as well as having her scholarship published in the Wooden O Journal and Shakespeare Criticism, online. Barbara has been involved with the Elm Shakespeare Company as Director of Development since April 1998. Prior to entering the world of non-profit development and management, she enjoyed a 12 year career in the private sector, predominately in the banking industry. As a Vice President with the Chase Manhattan Bank, her responsibilities included Sales Management of Chase's largest Fortune 500 cash management portfolios in excess of $16 million and managing Chase's largest international institutional relationships based both in New York and London. Upon relocating to Connecticut in 1992, she became Executive Director of High Hopes Therapeutic Riding, Inc., managing their $500,000 annual operating budget and a staff of fifteen, orchestrating their selection as the host site for the 1995 Special Olympic World Games' Equestrian Competition, and raised a $1,000,000 endowment fund. Sarah is very excited join the team at Elm Shakespeare! Sarah has worked as an actor, director, teacher and facilitator with young people and adults for over ten years on a wide variety of theatre projects. Her approach is student-centered. Sarah graduated from CUNY with her MA in Applied Theatre in 2015. She now specializes in facilitating the creation of original devised theatre based on the interests and ideas of the participants. However, Shakespeare will always be her first love. Favorite roles as an actor include Lady Anne in Richard III, Ariel in The Tempest, and Cassius in Julius Caesar. Sarah has worked at the American Shakespeare Center, and is a company member of Shakespeare & Company in Lenox, Mass. Sarah has had the pleasure of directing young people in A Midsummer Night's Dream, As You Like It, Hamlet, multiple productions of Romeo and Juliet, several Macbeths, several Julius Caesars, several Tempests, several Twelfth Nights, and Henry IV part 1. Lauren joined the Elm Shakespeare Company in the spring of 2016. Originally from North Carolina, Lauren studied voice and opera at the North Carolina School of the Arts in Winston-Salem. During her time in Connecticut, Lauren has been an active performer in various theatrical productions as well as numerous concerts. Lauren has also worked as a crew member for several local film and video projects. Lauren is very pleased to have been part of Elm's first season under new leadership and looks forwards to great things in the future. James is the founder and Artistic Director of The Elm Shakespeare Company. He has performed at theaters across the United States, including the Actors Shakespeare Project, the Long Wharf Theatre, the American Repertory Theatre, the Pittsburgh Public Theatre, the Cleveland Playhouse, the Rep. of St. Louis, the Three River Shakespeare Festival, Shakespeare & Co., the Merrimack Repertory Theatre, and the Pioneer Theatre Co. among many others. He directed the premier of The Flaming Spider: Jonathan Edwards in Northampton at Yale's University Theatre, and, at Southern Connecticut State University, he has directed Neil Simon's Rumors and Romeo and Juliet. In 1993/94, Mr. Andreassi was the first American to appear with a Chinese theatre troupe when he performed all over the People's Republic of China, and at the Hong Kong Arts Festival, in the Shanghai People's Art Theatre/Long Wharf Theatre co-production of The Joy Luck Club, directed by Arvin Brown. He has taught and lectured on acting, Shakespeare and the theatre at Yale University, Southern Connecticut State University, Quinnipiac University, the Yale Center for British Art and at the Hopkins School. 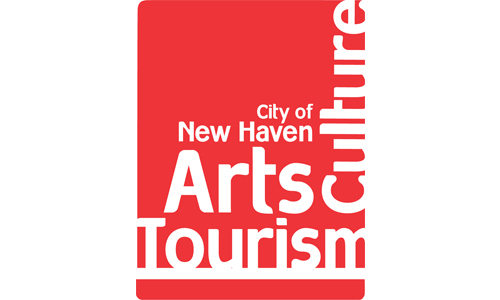 Mr. Andreassi was the recipient of the 2004 Greater New Haven Arts Council award.